Vienna Ensemble Pro 5 is not a new product, some of our users have been using it for some time. However as Pro Tools 11 looms on the horizon we’ve been looking at possible ways to host plug-ins in Pro Tools that may not run in the short term, or in some cases ever run in Pro Tools 11. This video was orginally going to simply be a set-up video for those who already own Vienna Ensemble Pro 5 but Russ has been so impressed by it, he decided to include a review. Watch the video to see it in action with some VST instruments and a Waves reverb. From the video you will see that the interface and interaction are both elegant and simple to use, yet offer Pro Tools users a viable way of either hosting VIs in Pro Tool 9 and 10 or for hosting none AAX plug-ins in Pro Tools 11. Russ has seen it working in Pro Tools 11 (even though VE have not announced it as working with Pro Tools 11) with no issue and offering amazing performance, even to the point of seeing UAD hosted plug-ins working and offering offline bounce, something not even possible right now in a native format. It’s not FREE, some would say that £200 ($350) is a lot of money to pay for this, but bearing in mind it ships with the excellent Epic Orchestra, hosts VST and AU plug-ins and effectively either expands usability for those wishing to remain on Pro Tools 10 or future proofs those wishing to invest in Pro Tools 11 without the worry of unusable plug-ins. Even better you can host it on a separate computer like a Mac Mini and have all your VIs and plug-ins running in 64 bit and running back to Pro Tools, even older 32 bit versions. As you will gather from the video and also from above, I think this is simply brilliant and perhaps the most no-brainer purchasing decision I’ve come across. If you are a Pro Tools user and use a lot of VIs and plug-ins then this is a MUST HAVE product. 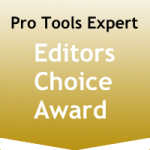 It gets our Editors Choice Award without any hesitation… if you already own it then you’ll understand why. If you have any doubt about our verdict then check out other reviews and also customer comments on sites like Sweetwater.